Survey found 19% of prospective customers never received a response to their quote request. Customer acquisition is one of the toughest and most competitive parts of the rooftop solar business. Still, companies are letting opportunities slip through the cracks by failing to respond to qualified leads, according to a new study. A secret shopper study conducted by Velocify, a sales acceleration platform, found that nearly 40 percent of prospective solar customers waited weeks for a quote response, and many never received a response at all. 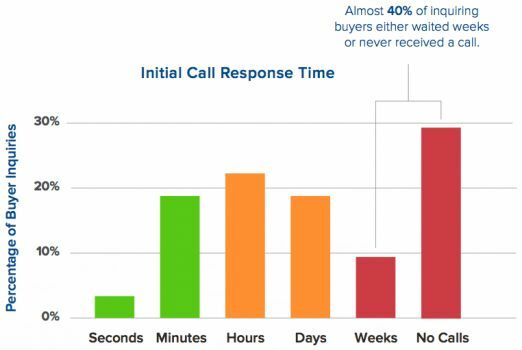 When companies wait an extended duration before responding to requests from prospective buyers, it has been shown to put them at a significant disadvantage compared to companies that respond within minutes. In the study, Velocify compared 30 residential solar companies on their effectiveness in responding to online leads, a proxy for sales performance. Researchers completed forms on each company’s website where potential buyers could express strong interest in purchasing a system, such as requesting a consultation. Requests were submitted during normal business hours. Once submitted, researchers started the clock, but did not reply to any contact attempts. 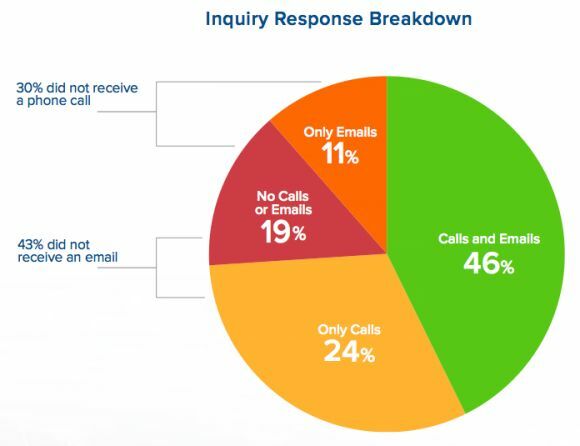 Velocify tracked companies’ responses via phone and email over the next 22 days, measuring four key performance indicators: speed to call, speed to email, number of call attempts and number of emails. Previous Velocify research has found a correlation between these indicators and lead conversion rates. Despite the fact that every form required the potential buyer's phone number and email address, 19 percent of online requests never received a response of any kind. A full 30 percent never received a phone call, and more than 43 percent did not receive an email response. Only 46 percent of inquiries received at least one phone call and one email from the seller. The results show that almost 40 percent of prospective customers either waited weeks or never received a call. Half of inquiring buyers either waited weeks or never received an email. The study notes that a slow response time allows a competitor to swoop in. It also sends a troubling signal about the company's ability to provide prompt customer service. Previous consumer research found that conversion rates drop significantly once customers have to wait more than several hours or a few days for a company response. This means that solar companies could be leaving money on the table. In measuring the persistence of solar companies, Velocify found that 77 percent of installers contacted prospective customers by phone four or fewer times. Six calls was found to be the sweet spot in other industries. When it comes to emails. 90 percent of companies were not persistent enough, sending three or fewer emails. 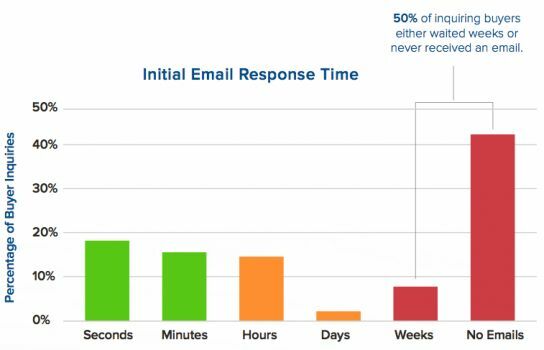 Only 5 percent of companies reached the optimal number of five emails. All of these findings have real implications for a company's bottom line. According to GTM Research, it cost 49 cents per watt to acquire a solar customer in the U.S. in 2013, which equates to about $3,000 for the typical 6-kilowatt residential rooftop system. Those costs are expected to fall to $0.35 per watt in 2017, but it will take some work to get there. In the fourth quarter of 2014, SolarCity, the country's largest rooftop solar company, reported sales and marketing costs of 57 cents per watt. Looking at it another way, SolarCity spent $79 million on sales and marketing in Q4 2014 and generated about $72 million in total revenue. Marketing and sales made up 110 percent of what the company made that quarter. Adopting nimbler, more responsive sales practices by leveraging new technologies could help to convert a much larger portion of the money a company spends on acquisition into actual sales. 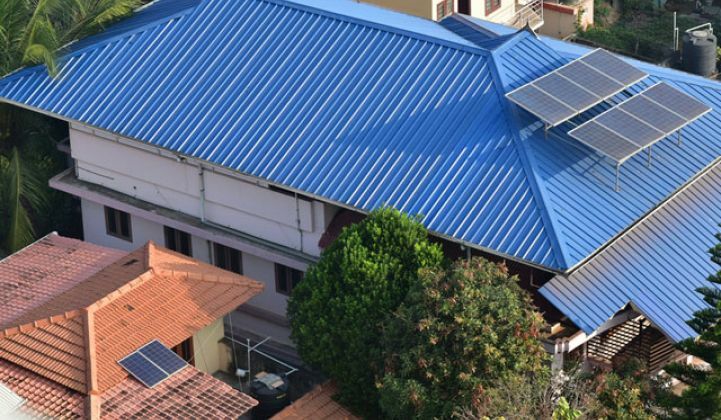 "The rapid rise in demand for solar power has come with growing pains for some solar installers, many of whom have become overwhelmed by the number of new leads they must manage or complacent in serving the same level of customers while hungrier new competitors take a larger slice of the market," said Velocify CEO and President Nick Hedges. "In an industry going through major transformation, it becomes especially important for companies to optimize marketing and sales processes to not only boost sales, but also to solidify their reputation for customer service."